David started his working life in the tree felling business with his father then furthered his career with Carmarthenshire County Council. In the mid 90’s David started his property portfolio by purchasing property for buy to let purposes. In 1996 he purchased a small but useful for his needs office not only to run his properties but as an agent for lettings and sales called Town & Country Property Services Ltd.
Over the years the business grow where not only his one and only son Mark joined the business, Keith Milnes a estate agent, joined the company to expand the property sales. In December 2008 the whole operation moved to bigger premises which was already in David’s portfolio. In 2002 the self storage business (now known as Storage Solutions (Wales) Ltd) started on a patch of land in a terraced street, within 12 months or so the land was full with blue containers. Because of the success of this David’s head company, T. Worthington & Son (Properties) Ltd purchased Abermarlais Park in the August of 2006. Since then the business has grown where not only they can offer Self Storage, but storage yards, archive storage and caravan and boat storage. Now David enjoys his days walking, slight seeing and other leisure activities with his partner Sharon. David celebrated his birthday in the Castle Hotel in Llandovery with family, friends and old school friends last Saturday night (10 October 2015). Among his friends were fellow business owners such as Stuart and Jo Darrel of BeeDazzled (twitter @Fowlingbee), Colin Newman of Crown Garage http://www.crowngaragellandovery.co.uk/ and Michael Hill of Myddfai Trading Company http://www.myddfai.com/. 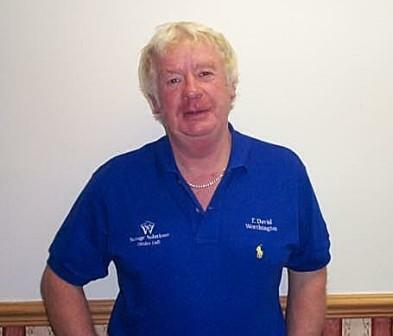 Should you require information on the services that David’s company offers please do ring his main office on 01550720270 or visit www.ssw.wales also like their Facebook page www.facebook.com/storagesw.